Souvenirs are those objects which are meant to remind you of some cherished moments of a place which you have visited or experienced. The more you travel, the more memories you make. Who does not love to narrate their travel stories with evidence like photographs, artifacts and much more from a the land they visited? Certain souvenirs do hold an emotional value to its owner which an outsider would not be able to understand. Souvenirs simply adds on to the travel experience, especially when you are in the beautiful land of God's Own Country-Kerala. Here are some unique collectibles which you can take home after visiting Kerala. The art form of Kathakali holds the merit of being called one of the icons of Kerala. One amongst the best ways to get this art form home is in the form of masks which are made out of different materials beginning from wood, paper mache and metal. However, the paper mache ones are the most preferred ones, the artisans take extreme care to give it the exact look and feel of an actual Kathakali dancer. These masks can be procured from handicraft shops and are available in various sizes and characters. 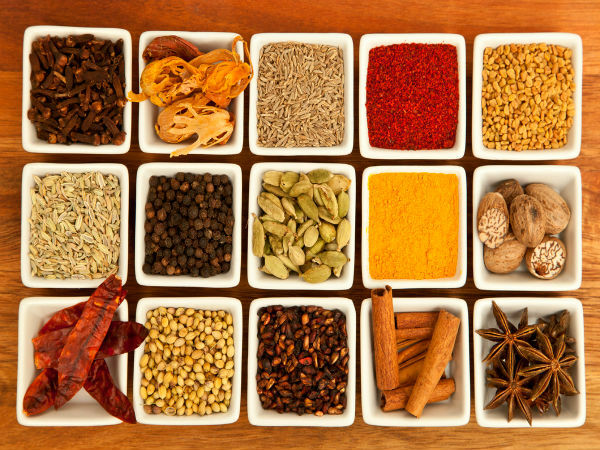 Since time immemorial, Kerala is well known for its spices. One would get an array of spices here, black pepper, cardamom, cloves, etc. Get yourself a packet of spices which are available in almost every shop in the state. The spices here are not used just for household consumption but are also used for its medicinal values. Kasavu sarees are traditional wears for women on special occasions, such as festivals, weddings, etc. The sarees are handwoven in pure cotton and further decorated with gold and copper borders; the saree is generally beige-white in colour. For men you get the Kasavu mundu, which is nothing but a dhoti with golden borders. The sarees and mundus are available in almost every handloom store in the state. Nettipattam is the ornament worn on the forehead of an elephant during temple festivals which is generally crafted in gold and copper. The ornament signifies various gods and goddesses present on it; one can notice golden crescents along with several small and large ball-like elements on its front line. There are plenty of imitations available which are used as wall hangings and smaller ones which are hung inside cars. Kerala gets its name from the large number of coconut trees which cover up a large amount of its landscape. Almost every part of the tree is made use of by Keralites; coir products are made from the fibres which are extracted from the coconut husk. The making of the coir is not as easy a process as buying its products is. The process begins from beating out the husk from the shells of coconuts and the husk is then formed into threads which are later woven together to make the final product. Doormats are one of the most popular ones apart from many others. Aranmula Kannadi is a handmade mirror which is made only in Aranmula, that too only by a particular family who keeps the composition of the alloy a secret. The mirror is not glass but is made from a metal alloy which is beaten and polished vigorously until it shines. A lot of effort goes into its making which makes it a very expensive souvenir. There is a common belief that the possession of the mirror would bring in great prosperity and luck to its owner.